First Touch ID, then Face ID, now Vein ID? The patent, filed in February 2018 and discovered by BGR, shows a front-facing camera on a device which scans the veins and blood vessels in a user’s face to determine who’s using it, a feature called 'subepidermal imaging'. What are we expecting from iOS 13? 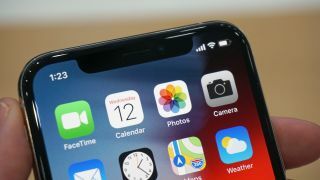 Could the iPhone 11 be one of the first 5G phones? LG uses subepidermal imaging in the G8 ThinQ – but does it work as planned?